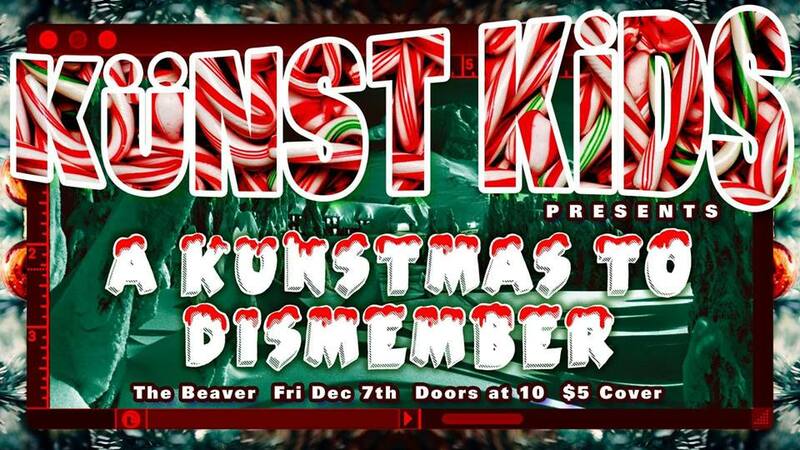 KÜNST KIDS PRESENTS: A Künstmas To Dismember! You thought you could escape?? Santa’s coming, do you have what it takes to survive? Batten down the hatches, deck the halls and barricade the chimney! Help the Künst Kids herald the upcoming holiday season! Slash through the competition and turn a fierce bloody look! Walk the Künst Kids fashion show and win a horrifying prize! Don’t eat the red snow.